If bringing to a party or an event, why not order additional non-framed prints to post on the wall. Additional prints come in a tube. 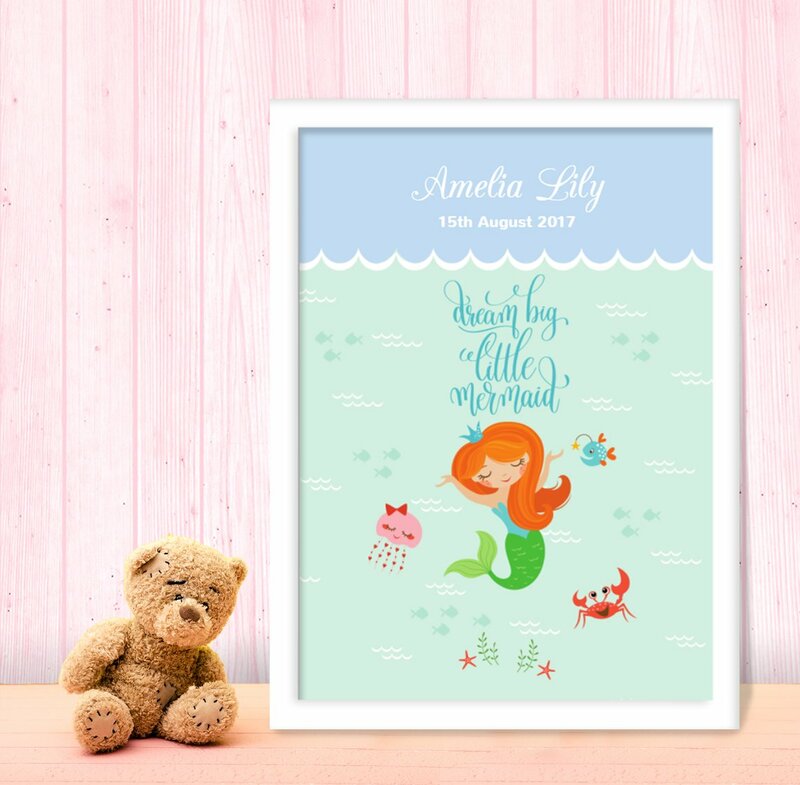 A beautiful gift for any new baby that will look fantastic in their new nursury! The print contains Baby's date of birth, full name, time of birth, weight and place of birth. The personalised vibrant print is then presented in a wooden frame (Black or White) with a clear perspex cover. Print Size: A3 (297 x 420 mm), Frame Size: 335mm x 447mm x 15mm.